My Review On SFI Affiliate Center, Is It Legit Or Scam? WARNING: This company is for Seasoned Affiliate Marketers Only, newbies should check out my review on Wealthy Affiliates. Welcome to my site and thanks for joining, I first want to apologize for not posting for over a week. I found this company one day when I was browsing my twitter account, someone followed me and showed me this site that I could try. Thank you once again for visiting, I just want to let everyone know that my sites are always updated, so if there is something you want to add or you see a mistake, let me know by leaving a comment below. I’m always skeptical about the company that claims their training is the best by far. This company was free to join and so I found it a great opportunity to get in to find out how good it really is. 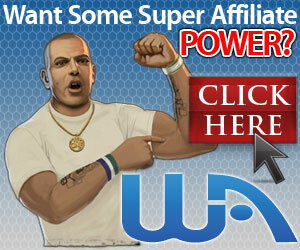 For your information, sfi affiliate center is an MLM for affiliate marketing. It is free to join, which is why I’m able to give you such an extensive review. When you click the website, you’re brought to a series of sites that explain what you get out of joining SFI. There are two buttons asked when you get through them, the first one is to sign up and the second one is if you’re still skeptical. I’m the skeptical one, so I click it and it goes in depth on all the training you will receive. After filling in your email address, you will be giving a sponsor and asked to include them in your no spam list in your email. If you don’t know how they provide steps with each email provider. They encourage you to reach out to your sponsor because your sponsor will be someone who is there to help you. I reach out and said hello, then proceeded to attempt to contact him through twitter. After the third day, I found that I was carrying a conversation with myself and had found my sponsor to be of no help whatsoever. The first lessons you will receive are through the launchpad, there are about 11 chapters to go through and you will receive VP(VersaPoints) with every page you read. VP’s is the system that they use to decided what kind of commission you will receive on each sale when selling Tripleclicks. The Affiliate Center of the homepage has about 13 buttons, Alerts, Badges, To-do, tips, stream, TCA, ECA, scoreboard, movers, growth, goals, forum and win it. Each of them will provide a VP a piece. The to-do list will give you all the things you need to do in order to receive VP. In order to make money in SFI, you will need to maintain at least 1500 points every month. Which is easy in the first month, but for the next month and every month after that, you will have to get 1500 VP in way of sales of referrals. I personally do not recommend that anyone works in the MLM scheme, though I saw this one to be safe because, in SFI, the things you purchase are things you need. There are far better programs out there that you can get involved with if you’re just testing the waters of Online Marketing. SFI is for the ones that are seasoned in the Online Marketing area because there are several things within their system that will frustrate beginners. Which is why most of them leave within 3-6 months. They train you on the use of their system, but their marketing training is very outdated. Very little on social marketing or website design. You should check out Wealthy affiliate because of their training on affiliate marketing. This company is narrow-minded and stuck in the stone ages of marketing. Affiliate Marketing is a thriving industry, using door to a door tactics and group meetings are the yesterday of marketing. Everyone is on Social Media in one way or another, they really need to get with it or they will find themselves on the doorsteps of people who really are making headway within the Affiliate Marketing Industry. What support, your on your own and fed to the wolves if you don’t know how to defend yourself. From my experience, the management doesn’t help because they leave that to your sponsor and my sponsor wouldn’t help or even talk to me like a normal human being. It is free to join, though to make money in it, you will either have to sell something from triple clicks or refer someone who can do that. All in all, SFI is a very good Affiliate program of which I’m going to continue using as. If you have an affiliate website to use, TripleClicks has over 90,000 products to choose from. Next Next post: Great Tips On Keeping Your Twitter Location Search A Secret. This was a good review of SFI and it’s actually a company I have been looking at for a little while but after your review I will have to do some more research on the company. Do you think if they had better training on for their affiliates in social marketing it would help its affiliates or has been to long since the training has been updated that it will be a lost cause now? They have a forum that they use on their website, the way I see it, you get out of it what you put into it, you can’t contain all your learning from SFI alone. If you want, I can be your sponsor, I love connecting with others about Online Marketing.